Drop your dog(s) off on your way to work, the theater, shopping, the gym, the museum, running errands, etc..... We will take care of them! 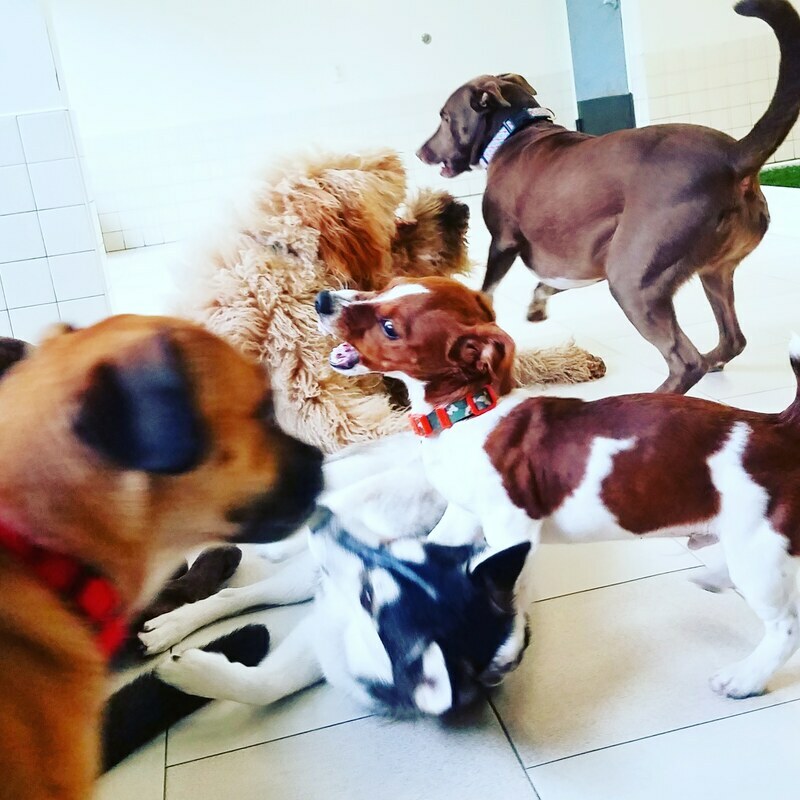 Our 2500 square feet of doggy daycare space will give your dog plenty of room to run and play. Blankets are provided in comfy spots for naps. 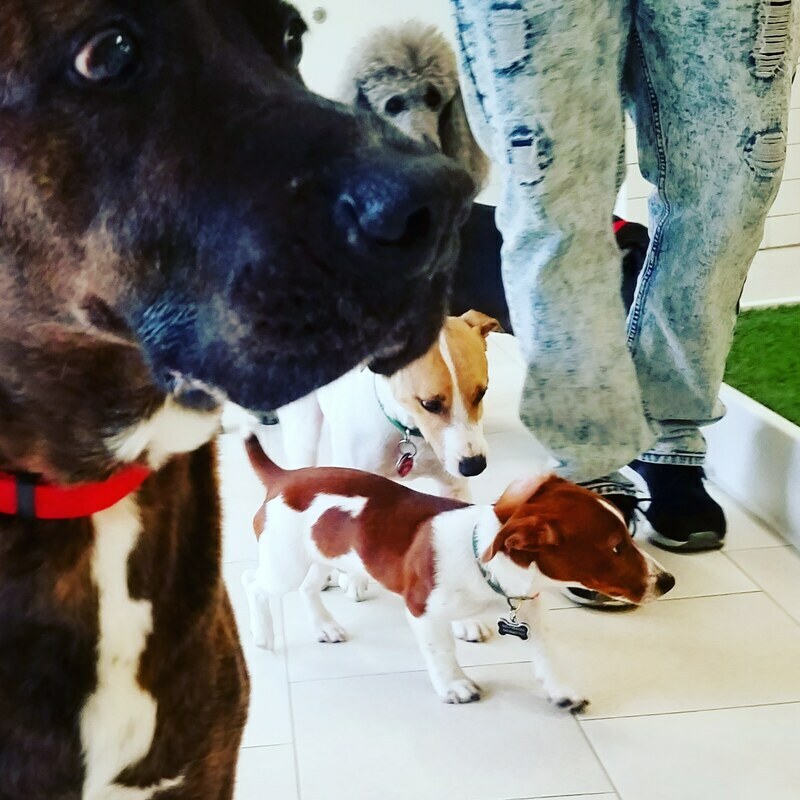 Our doggy daycare supervisors keep watchful supervision. If requested and provided, we will be happy to feed your dog breakfast, lunch, and/or dinner, give treats, and administer medications (no injections). Fresh water is frequently replenished. Morning walks to daycare, Relief Group Walks during the day, and walks home can be arranged at an additional cost. For doggy daycare we require up to date vaccine records including rabies, bordatella, and DA2PP. 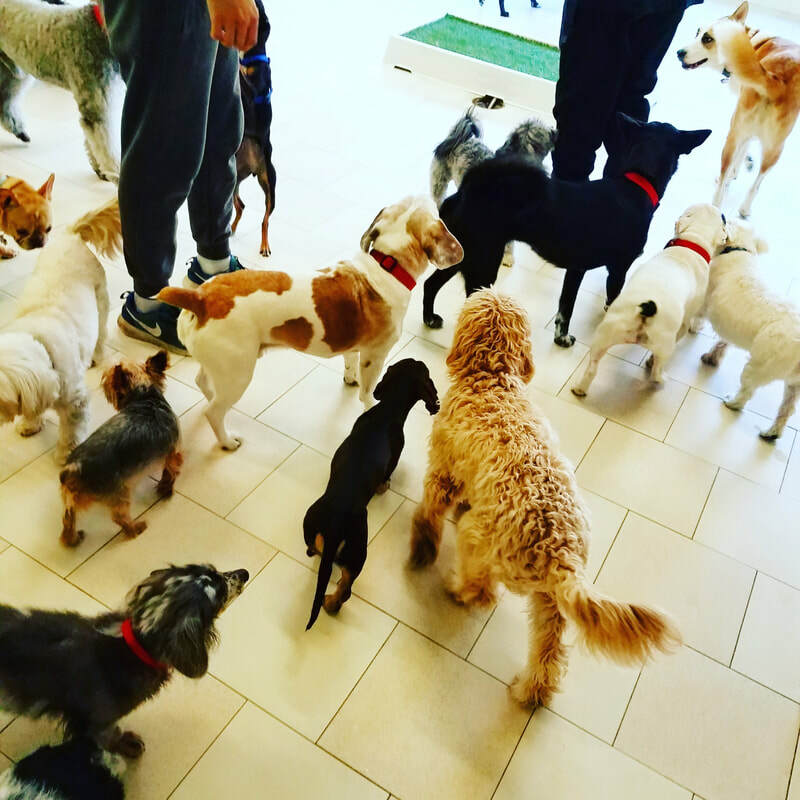 Prior to scheduling Doggy Daycare we require you to bring your dog in for an introduction to our pack of dogs. Your dog must get along with small, medium, and large dogs as we mix them all together. Your dog must not be aggressive or have an aggressive history. 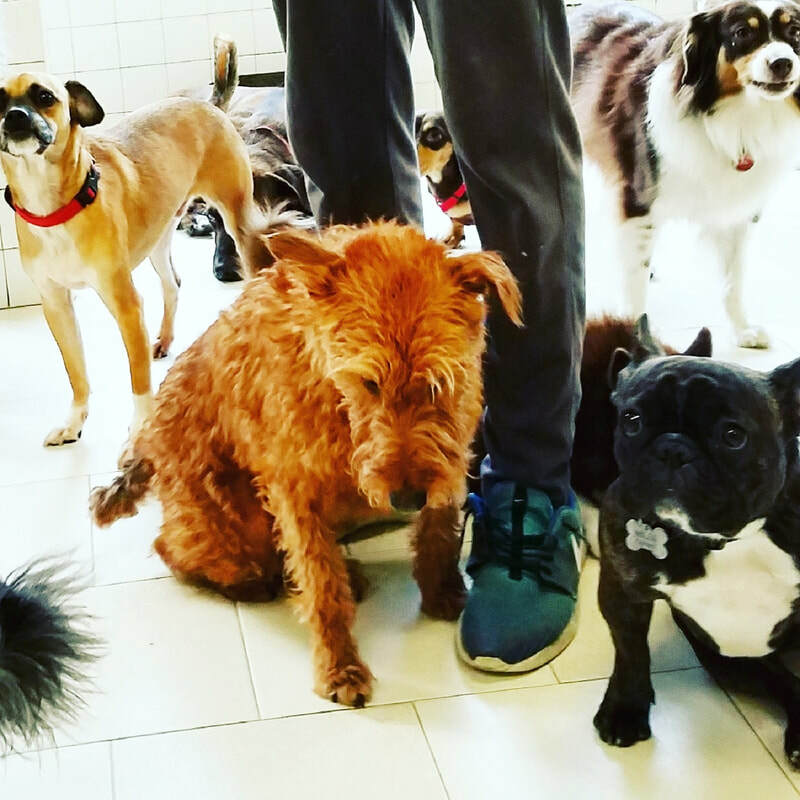 Your dog must pass the introduction process to assure your dog is comfortable at Coco and Toto. If Coco and Toto is a good match for your dog you will sign up on our website and we create an online automated account for you which has the ability to schedule, cancel, invoice, and bill services. If you need to cancel an appointment, call us (212) 956-5822 24 hours in advance so we may reschedule the time with someone else. If you cancel your appointment less than 24 hours in advance or fail to keep an appointment, you are responsible for a Cancellation Fee equivalent to the regular daily rate of the service in question.